Majestic Pure anti hair loss and hair regrowth shampoo with 14 broad spectrum DHT blockers offers perfect herbal and natural treatment. This product contains no SLS (sulfate), no paraben, no gluten and is free from harsh chemicals. 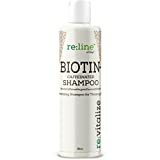 Gentle and fortified shampoo, nourishing hair follicles with essential nutrients to reverse any damage and begin the healing process. 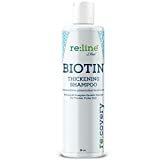 Hair loss shampoo contains potent natural ingredients; biotin strengthens hair strands, niacin increases circulation and our various botanical extracts promote healthy hair regrowth. Ingredients selected increase bioavailability and maximum absorption; continued use will fight further hair loss, add volume and promote regrowth.